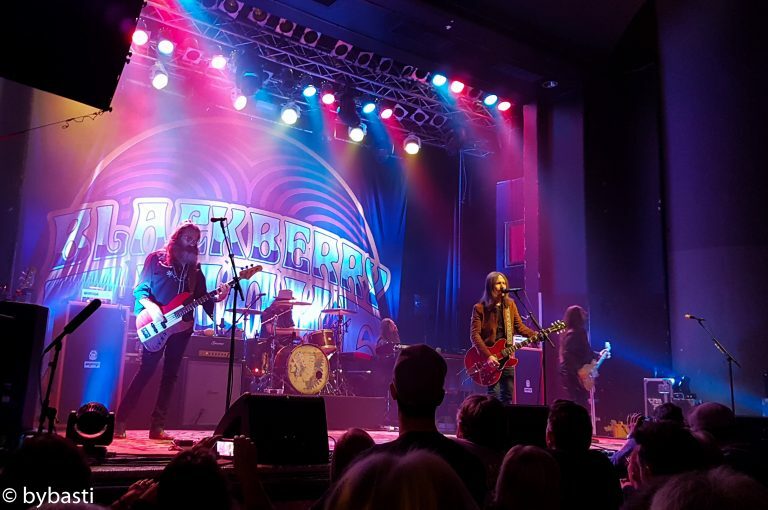 We’ve been in Hannover last weekend to enjoy a concert of the US Rockband Blackberry Smoke. One good thing about unknown bands is, that you don’t need to be at the place hours before the sessions starts. There was not even a line when we arrived at 7pm. The concert was supposed to start at 8pm and we got a place just in front of the stage. Well, the venue “Capitol” in Hannover is not large, which made it not very difficult to get a place with a good view 🙂 . The opening act started at 7.55pm with a band with the fancy name “Quaker city night hawks” from Texas and lasted about 45 minutes. The room was full now and after Blackberry Smoke started to play songs from their current album “Find a light” you could easily deep dive into their blues,rock, a little country and jazz songs. They did not play many uptempo songs, but the band got a very good mixture of everything and I was surprised how good the German audience was with singing along 🙂 . But there is one personal thing, which I don’t really understand: Why do people spend money on a concert and drink so much alcohol that they could not even stand anymore? That’s annoying for all the others, and that’s disrespectful towards the artists. Blackberry smoke played a little more than 2 hours without longer breaks and I would recommend this band to anyone who likes rock and blues.